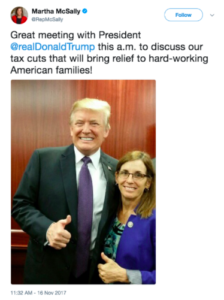 Rep. Martha McSally, who is running for the Senate in a GOP primary against anti-immigrant hardliners crazy Uncle Joe Arpaio and Kelli “Chemtrails” Ward, is so concerned about not appearing to be the most virulent anti-immigrant hardliner in the GOP primary that she is now trying to disappear her past. The release said that McSally questioned Kelly on the department’s plan to address DACA, and whether Kelly could assure her that DACA recipients would be protected from deportation. Kelly assured her they would not be targeted for deportation. The press release embedded a YouTube video of that interaction below a line that says, “to watch the exchange from the hearing, click below,” but the YouTube video has since been made unavailable for viewing, meaning the video has been made private or deleted. Two other videos from the hearing also included in the press release, neither DACA-related, are still available and online. Representatives of McSally’s office and her Senate campaign did not respond to CNN’s multiple requests for comment. In April 2017, McSally co-sponsored legislation that would provide legal status to some children of undocumented immigrants, but after deciding to run for senate in Arizona, she asked that she be removed as a co-sponsor last month. She has since co-authored a more conservative bill which would not include a path to citizenship for DACA eligible immigrants and would also curb legal immigration numbers. The not-so-great Martha McSally Makeover powers on as the southern Arizona fighter pilot continues her startling downward spiral, leaving previously held principles in her wake. 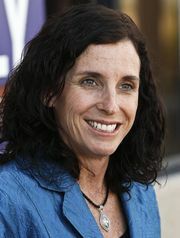 Since launching her campaign for the U.S. Senate, McSally has become virtually unrecognizable. Where she once was a moderate Republican who kept her distance from President Donald Trump, she now takes every opportunity to glue herself to his side. Where she once sponsored a bill aimed at giving citizenship to DACA students – the ones she said were brought here “at no fault of her own” – she now opposes the plan and even asked her colleagues to remove her name from the bill. Now, she’s sanitized her YouTube channel, quietly removing a video of herself calling on Congress to exercise compassion and provide that pathway to citizenship to DACA. McSally has been curiously unavailable to explain the removal of that video while other videos – focused on beefing up funding for ports of entry and the Border Patrol – remain. In the now-deleted June 2017 video, which her office sent to reporters last year, McSally asked Chief of Staff John Kelly for assurances that 57,000 DACA recipients would be protected in the aftermath of President Donald Trump’s decision to kill the Deferred Action for Childhood Arrivals program. That was then, when McSally was still interested in representing a southern Arizona congressional district won by Hillary Clinton in 2016. This is now, when principles and positions apparently take a back seat to political ambition. Now, when she needs to defeat a pair of conservatives, Kelli Ward and Joe Arpaio, to have a shot at the U.S. Senate seat being vacated by Jeff Flake. Never mind that every rightward lurch likely moves the prize farther from her reach as Democrat Kyrsten Sinema waits in the wings. A few months ago, I would have said – probably did say — that McSally was the odds-on favorite to be Arizona’s next senator. But that was before she began executing combat maneuvers that make her unrecognizable – this, to get through the Republican primary. And so no longer does she support the Recognizing America’s Children Act, the one she sponsored last year. The one that would offer a 10-year path to citizenship to qualified immigrants brought here illegally as children. No longer, it seems, do “America’s Children” deserve at shot at citizenship. Instead, McSally has now signed onto the Securing America’s Future Act, a bill that would allow DACA recipients to apply for “contingent non-immigrant status,” which is good for three years and renewable. This, in exchange for reducing legal immigration by 25 percent, ending chain migration, fully funding Trump’s border wall and penalizing sanctuary cities, among other things. “With a potential vote coming up on several bills related to this issue [next week], Congresswoman McSally wanted to clarify which legislative solution she backs wholeheartedly,” her spokeswoman, Kelly Schibi, recently explained. Just about as clear as her reason for disappearing a video in which she once upon a time – was it just a year ago? – called for compassion and compromise. But that, evidently, is a non-starter for an ambitious Republican looking to move up, up and, unfortunately, away from previous convictions and beliefs. At least, the ones she held when she was running for Congress. Why should xenophobic white nationalist anti-immigrant Trumpster Arizona Republicans vote for a wannabe pretender like McSally when they have the real McCoy available, Joe Arpaio — Trump’s partner-in-crime in the Obama birther conspiracy theory? I would expect Trump to at least tweet his endorsement of his racist friend before the GOP primary, if not come to Arizona to campaign for him. Stewart is himself so problematic that it’s not even clear the GOP establishment will back him: Last night, the National Republican Senatorial Committee said nothing. Yet Trump was very eager to declare his endorsement of Stewart. Perhaps this is not despite Stewart’s dalliances with white supremacists, but because of them. This bodes well for Joe Arpaio. “Democrats are planning to try to tag the Republican Party with Corey Stewart, much as they tried to do with Roy Moore.” Joe Arpaio, the recipient of a politically motivated pardon because he is a friend of Donald Trump, would be the cherry on the top. 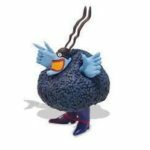 I’ve actually wondered why Trumpty Dumpty seems not to notice that Deplorable Martha is frequently on Fox News professing her drooling love for him. So, I’m thinking perhaps she’s too flat chested, too short, too not like Stormy Daniels. Too not his type. But it could be that Joe Arpaio is Trump’s favorite in the AZ senate race. I hadn’t thought of that. Now, does this mean that Martha’s slobbering efforts on Fox News are in vain. Not so. She’s building name recognition and if she wins the primary she’ll get Trump’s endorsement in the general. And if she loses to the general to Kyrsten Sinema, she figures she gets another shot when McCain’s seat opens up. But I still believe her goal is a BIG JOB at the DOD.